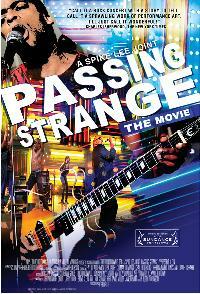 ‘Passing Strange’ DVD Due Jan 12: Package includes director Spike Lee’s backstage footage from Broadway production. *IFC Entertainment will release the DVD of the Spike Lee-directed “Passing Strange: The Movie” on Jan. 12 with a suggested retail price of $24.98. Oscar nominee Spike Lee filmed the show’s final three Broadway performances in front of live audiences. Bonus material includes director Lee’s backstage footage from the Broadway production. The cast included original stage stars Stew, Daniel Breaker, De’Adre Aziza, Eisa Davis and Colman Domingo. The production features original music (co-written by Stew and creative partner Heidi Rodewald), narrated and overseen by Stew. Next ArticleMayweather, Pacquiao Called Off, Again: Plus, Floyd has nightclub run-in with Rick Ross.